여러분들의 적극적인 참여를 기다리고 있습니다. 혼자 알고 있기에는 너무나 아까운 글, 소스 코드, 라이브러리를 발견하셨거나 혹은 직접 작성하셨다면 Gist나 주간닷넷 페이지를 통해 알려주세요. .NET 관련 동호회 소식도 알려주시면 주간닷넷을 통해 많은 분과 공유하도록 하겠습니다. 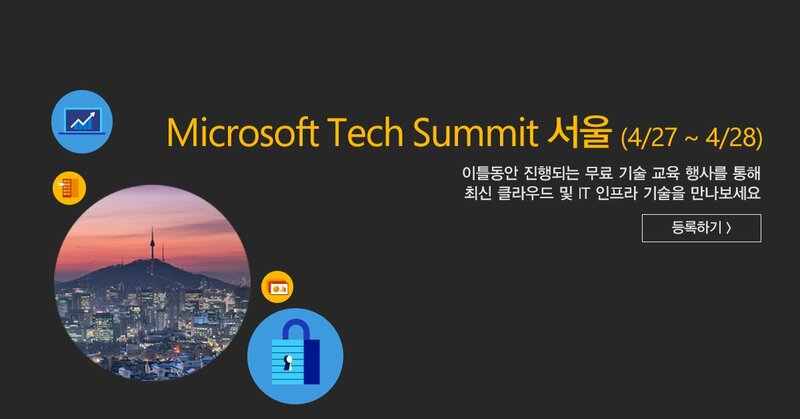 이틀동안 진행되는 Microsoft Tech Summit 서울을 통해 최신 클라우드 및 IT 인프라 기술을 만나보세요! 자세한 정보 및 등록 안내는 링크를 통해 확인하실 수 있습니다. Taeyo.NET에서 http://docs.asp.net의 ASP.NET Core 문서를 한글화하여 연재하고 있습니다. 3월 3일 Visual Studio 2017과 함께 .NET Core SDK 1.0 및 F # 4.1이 출시되었습니다. 자세한 내용은 링크틀 통해 알아보세요! 지난 주 On .NET에서는 Phillip Carter를 게스트로 초청하여 C# 경력자 그리고 F# 입문자들을 위한 Tour of F#에 관해 소개했습니다. 이번 주 On.NET에는 두개 영상이 업로드 될 예정입니다. 첫번째는 영상에서는 Scott Hunter가 Visual Studio 2017 출시 소식과 .NET에 관한 내용을 담을 예정 이며, 두 번째 영상에서는 Stackify의 Matt Watson가 Prefix에 관해 소개합니다. Prefix는 가볍고 빠른 웹 개발 도구로서 실간 로그, 에러, 쿼리 등을 개선하는 데에 도움을 주는 기능을 포함하고 있습니다. 이번 주에 준비한 또 다른Happy Birthday .NET 비디오가 있습니다. 마이크로소프트의 Technical Fellow 이신 John Shewchuk과의 인터뷰 내용입니다. Visual InterDev및 Visual Studio의 첫 번째 버전을 개발했으며 .NET 아키텍처 팀의 일원이었습니다. FNA는 Microsoft XNA를 리메이크한 엔진으로 오픈소스로 프로젝트입니다. 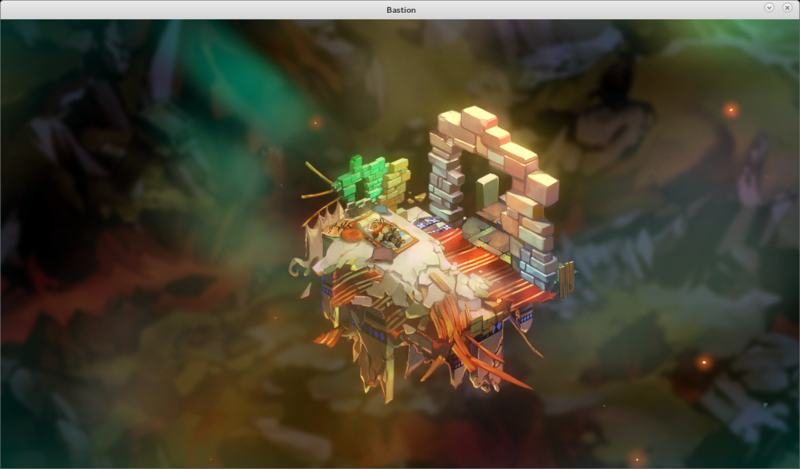 FNA 오픈소스 프로젝트 메인 참가자인 Ethan Lee는 이미 유명한 게임 FEZ, Bastion, Terraria를 포함하여 20개 이상의 XNA 게임 포팅을 마친 이력을 가지고 있습니다. Pyre는 롤 플레잉 게임입니다. 플레이어는 자유를 찾아 떠나는 그룹을 이끄는 역할을 수행하게 됩니다. 자유를 찾는 과정에서 수 많은 경쟁과 전투에서 승리해야 합니다. 각각의 전투를 통해서 플레이어가 속한 그룹은 새로운 스킬들을 익혀 더욱 강력해져서 자유를 억압하는 단체로부터 공격을 이겨내고 점점 자유를 찾아가는 스토리입니다. Pyre는 캠페인 모드와 대전 모드를 지원합니다. Pyre는 Supergiant Games에서 C#과 자사의 게임 엔진을 이용하여 개발되고 있으며(아직 개발중) 개발이 완료되면 Steam와 PlayStation 4를 통해 즐기실 수 있습니다. Orleans 1.4 and 2.0 Tech Preview 2 for .NET Core released : Julian Dominguez가 Orleans 1.4 버전과 2.0 버전의 Tech Preview 2 for .NET Core 출시 소식을 공유했습니다. .NET Core logging to MySQL using NLog : Damien Bod이 .NET Core 애플리케이션에서 NLog로 MySQL에 로깅하는 방법을 설명합니다. What’s up with .NET Core 2.0 and C# 7? : Bertrand Le Roy가 .NET Core 2.0과 C# 7의 새로운 기능들을 소개합니다. Generic method cache vs reflection : Daniel Wertheim이 Generic method cache와 reflection을 비교하여 설명합니다. Do I need to use ConfigureAwait(false) all the way? : Daniel Wertheim이 ConfigureAwait(false) 기능 왜 필요한지 설명합니다. New StructureMap Extensions for Aspect Oriented Programming and AutoFactories : Jeremy D. Miller가 Aspect Oriented Programming과 AutoFactories를 사용하기 위한 새로운 도구, StructureMap를 소개합니다. The Orchard Harvest 2017 talks are online (playlist) : Orchard CMS 커뮤니티에서 주관하는 기술세미나 “The Orchard Harvest 2017” 세션 별 영상들이 공유 되었습니다. What’s new in ASP.NET MVC Core 2.0 (video) : Taylor Mullen이 ASP.NET MVC Core 2.0의 새로운 기능들을 소개합니다. Long live Web Essentials : Mads Kristensen이 Visual Studio의 웹 개발 확장 툴 “Web Essentials 2017”의 최신 소식을 공유했습니다. ASP.NET MVC Boilerplate API project templates now using dotnet new : ASP.NET MVC Boilerplate API 개발에 필요한 정보가 공유되었습니다. Using routing DataTokens in ASP.NET Core : Andrew Lock이 ASP.NET Core에서 DataToken의 라우팅 활용 방법을 소개합니다. View Components with ASP.NET Core 1.1 : Christian Nagel이 ASP.NET Core 1.1의 뷰 컴포넌트 사용 방법을 설명합니다. Get the localization and time zone of your visitors : Gérald Barré이 웹 페이지 접속자의 접속 지역 데이터를 얻는 방법을 설명합니다. Customising ASP.NET MVC Core Behaviour with an IApplicationModelConvention : Steve Gordon이 애플리케이션에서 bespoke behaviour을 정의하기 위한 강력하고 간단한 방법을 제공하는 컨벤션 인터페이스를 소개합니다. ASP.NET Core: How log filtering works : Gunnar Peipman이 ASP.NET Core의 로그 필터링 프로세스를 설명합니다. How to Trap Uncaught Exceptions and Avoid 5xx Errors in ASP.Net WebAPI : Tim Omta가 ASP.NET WebAPI 환경에서 발생할 수 있는 예외 사항들과 5xx로 시작하는 오류의 처리 방법을 공유했습니다. Sensitive Configuration Data in ASP.NET Core : Derek Comartin이 ASP.NET Core 보안 설정하는 방법을 소개합니다. Simplifying Bundling and Minification in ASP.NET Core : Shayne Boyer가 ASP.NET Core의 Bundling 과 Minification 기능을 소개합니다. Support multiple versions of ASP.NET Core Web API : Talking .NET에서 다중 버전을 지원하는 ASP.NET Core Web API의 구현 방법을 설명합니다. Implementing an Audit Trail using ASP.NET Core and Elasticsearch with NEST : Damien Bod이ASP.NET Core와 NEST( Elasticsearch의 닷넷 클라이언트)사용 환경에서 데이터 흐름을 추적/로깅하는 Audit Trail(감사추적)기능 구현 방법을 소개합니다. Create a class with .NET Core and Roslyn : Carlos Mendible이 .NET Core 환경에서 Roslyn을 이용한 동적 클래스 정의 방법을 설명합니다. Mutability vs. Immutability: Valid objects : David Raab이 Mutability와 Immutability를 비교하여 설명합니다. Is Your Code Hard to Understand? : Erik Dietrich가 코드 가독성에 대해 설명합니다. F# Interview Questions : F# 개발자 인터뷰에 자주 나오는 질문들을 공유했습니다. F# and Purity : Eirik Tsarpalis이 F# 함수의 순수성을 중점으로 소개합니다. Setting up continuous integration for F# Suave app to Azure, : Zohaib Rauf가 F# Suave 애플리케이션과 Azure 환경에서 지속적 통합(CI : continuous integration) 설정 방법을 설명합니다. Binary Log Search : Jonathan Leaver가 로그의 이진 검색 방법을 설명했습니다. Yes, Virginia, You Can Write HoloLens Apps in F# : Anthony Lloyd가 F#으로 홀로렌즈 애플리케이션을 개발하는 방법을 소개합니다. F# 커뮤니티에서 연재하는 주간 F#에서 더욱 풍부한 F# 콘텐츠를 확인해보세요. Xamarin Stable Release: Xamarin Workbooks & Inspector 1.1.2.0 : Bri Brothers가 Xamarin Workbooks과 Inspector 1.1.2.0 버전 소식을 공유했습니다. Mobile Center Webinar Recordings | Mobile Center Analytics and Getting More from App Testing : Courtney Witmer가 모바일 센터 웨비나 "모바일 센터의 애플리케이션 테스트 자동화를 통한 분석및 추가 정보 활용" 편을 공유했습니다. New Bindable Picker Control for Xamarin.Forms : David Ortinau가 Xamarin.Forms의 바인딩 가능한 새로운 Picker Control을 소개합니다. Xamarin Developer Events in March : Jayme Singleton이 3월에 진행되는 Xamarin 개발 행사 일정을 공유했습니다. .NET Standard Libraries in Xamarin Studio : James Montemagno가 Xamarin Studio 환경에 .NET Standard Libraries를 활용하는 방법을 공유했습니다. Xamarin University Presents: Getting Started with Xamarin for Visual Studio : Mark Smith가 Visual Studio로 Xamarin 개발을 배워볼 수 있는 Xamarin University 학습 정보를 공유했습니다. Build a Realtime Application on Xamarin using Realm : Xamarin과 Realm을 이용한 실시간 애플리케이션 개발 방법이 공유되었습니다. Realm database with Xamarin Forms : Daniel Krzyczkowski가 Xamarin Forms에서 Realm database를 활용하는 방법을 공유했습니다. Behind the Scenes: How Hendrick Motorsports uses Xamarin & Azure to Increase Communication, Productivity & Mobility : DevRadio가 Xamarin과 Azure를 사용하여 커뮤니케이션, 생산성 및 이동성을 향상시키는 방법을 소개합니다. Xamarin .NET Workbooks – Interactive Computing is a stellar learning tool : Scott Hanselman이 Xamarin 학습 도구인 Xamarin Workbooks를 소개합니다. Xamarin.Controls – JsonTextView, Xamarin.Controls – MarkdownTextView, Xamarin.Tips – Extending Xamarin Plugins, & Xamarin.Controls – Creating Your Own Android Markdown TextView : Alex Dunn이 "자마린 컨트롤:JsonTextView", "자마린 컨트롤:MarkdownTextView", "자마린 개발 팁:Xamarin Plugins 확장", "자마린 컨트롤:안드로이드용 사용자 정의 Markdown TextView 개발하기”라는 주제로 포스팅하였습니다. Generate Google API Key for Xamarin Android Application : Suthahar J가 Xamarin 안드로이드 애플리케이션 개발에 필요한 Google API Key의 생성 과정을 설명합니다. Xamarin Background Tasks : Adam Pedley가 Xamarin의 백그라운드 작업에 대해 설명합니다. Developing Universal/Cross-Platform Apps with MVVM – VII : Can Bilgin이 MVVM을 활용한Universal/Cross-Platform을 지원하는 애플리케이션 개발 방법을 설명합니다. Xamarin.Forms: ListView Simple MVVM Binding Example : Almir Vuk가 Xamarin.Forms의 간단한 ListView MVVM 예제를 소개합니다. Playing Media with Xamarin Forms : Peter Foot이 Xamarin Forms에서 미디어 파일(동영상) 재생 방법을 소개합니다. ReactiveUI v7.2.0 released : Geoffrey Huntley가 ReactiveUI v7.2.0 출시 소식을 공유했습니다. Yet Another Podcast – #168: Greg Shackles : Jesse Liberty가 Xamarin MVP이면서 Microsoft MVP인 Greg Shackles와의 팟캐스트를 공유했습니다. Getting Started with a Mixed Reality Platformer Using Microsoft HoloLens : Windows Apps Team에서 혼합 현실 홀로렌즈 개발 가이드를 공유했습니다. Windows 10 SDK Preview Build 15042 Released : Clint Rutkas가 Windows 10 SDK Preview 버전 출시 소식을 공유했습니다. Announcing the Xbox Live Creators Program : Andrew Parsons이 Xbox Live Creators Program 정보를 공유했습니다. Azure App Service Authentication in an ASP.NET Core Application : Adrian Hall이 ASP.NET Core Application에서 Azure App Service 인증 활용 방법을 설명했습니다. Creating Versioned APIs with Azure Functions and Proxies : Jason roberts가 Azure Function의 Proxy 기능을 활용하여 버전 별로 API를 생성하는 방법을 설명했습니다. Service Fabric – KeyValueStoreReplica, and a whole series on Service Fabric : Szymon Kulec이 Service Fabric을 소개합니다. Azure Active Directory B2C: Build an ASP.NET Core MVC web API : Helge Mahrt가 ASP.NET Core MVC를 활용한 web API 구성 방법을 설명합니다. Using Azure Functions and Microsoft Flow to Send Notifications for NuGet Package Downloads : Jason Roberts가 Azure Functions과 Microsoft Flow를 이용하여 특정 NuGet Package 다운로드 상태 정보를 송신하는 방법을 공유했습니다. A Concept for Integrated Database Testing within Storyteller : Jeremy D. Miller가 Storyteller를 이용한 DB 통합 테스트 개념에 대해 소개합니다. Mimic Lazy Loading with Entity Framework 6 and Entity Framework Core 1.1 : Peter Hunter Vogel이 Entity Framework 6와 Entity Framework Core 1.1에서 Lazy Loading 효과를 쉽게 구현할 수 있는 방법을 소개합니다. Troubleshooting the dotnet ef command for EF Core Migrations : Julie Lerman이 EF Core로 전환시에 발생할 수 있는 dotnet ef 명령어의 문제 해결 방법을 공유했습니다. Implementing Missing Features in Entity Framework Core – Part 7: Entity Configuration in Mapping Classes : Entity Configuration in Mapping Classes : Ricardo Peres가 “Entity Framework Core에서 제외된 기능 구현 하기” 시리즈의 7번째 "맵핑 클래스에서의 엔티티 설정" 편을 공유했습니다. New Investments for Xbox Developers and Gamers Kick Off GDC 2017 : Chris Charla가 Xbox Live Creators 프로그램과 게임 컨퍼런스 GDC 2017 개최 소식을 공유했습니다. MonoGame 3.6 : Tom Spilman이 MonoGame 3.6의 출시 소식을 공유했습니다. Windows Mixed Reality dev kits shipping this month : Alex Kipman이 이번 달의 윈도우 혼합현실 개발 kit 출시 소식을 공유했습니다. Updates from Unity’s GDC 2017 Keynote : Kyla Keefe가 GDC 2017 키노트와 Unity 업데이트 정보를 공유했습니다. CRYENGINE 5.3.3 is now available for download : CRYENGINE 5.3.3 버전이 공유되었습니다. Introducing GitHub for Unity : Andreia Gaita가 Unity에서 GitHub에 쉽게 접근할 수 있게 도와주는 확장 툴인 GitHub for Unity를 소개합니다. 10.3 Unity Tower defense tutorial – Death animation : inScope Studios에서 타워 디펜스 게임 구현 방법에 대해 설명합니다. Real Time Strategy in Unity – Making Units Construct Buildings : Unit02Games에서 실시간 협동 전략 게임 제작 튜토리얼을 공유했습니다.